One 6 face bead & (2) 3 face beads. The wearer gets free from sins or wrongs. 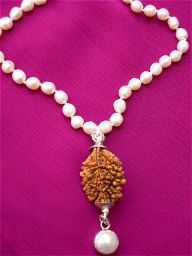 Ideal for those who suffer from inferiority complexes Kuja Dosham Nivaran Mala is especially for Delayed Marriages disputes in family life and court cases. Shani Dosh Nivaran Mala very effective in saturn dosha. It will remove Ealinathi satarun Dasham & Astama Sani & Dasa Sani. 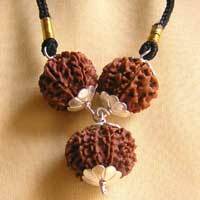 One to 9 faces Rudrakshas. 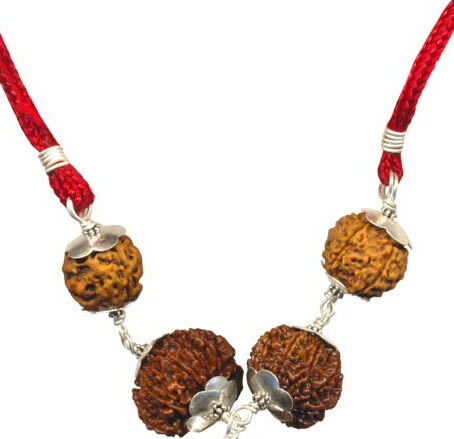 This 9 Rudrakshas power combination is represents Navagrahas. Navagraha power combination mala pacifies all Negative planetary energy. 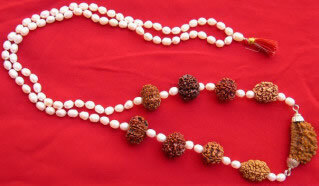 It blesses wearer wisdom, power combination Mala increase will power and steady mind. It will reduce financial problems and very good success in Business and very good financial prosperity.